1. It’s easy to vote during the Early Voting period, you can vote on your own schedule and the dates go from April 25 to May 5! That includes two Saturdays that you can make it to vote in this year’s Primary Election! 2. Call your County Clerk to find your polling place! The link can be found by clicking here. 3. Voter ID laws have changed, but don’t worry it’s simple. You can take either photo I.D. or non photo I.D. or you can take a friend to vouch for you. See below for a list of options and choose what is easiest for you! 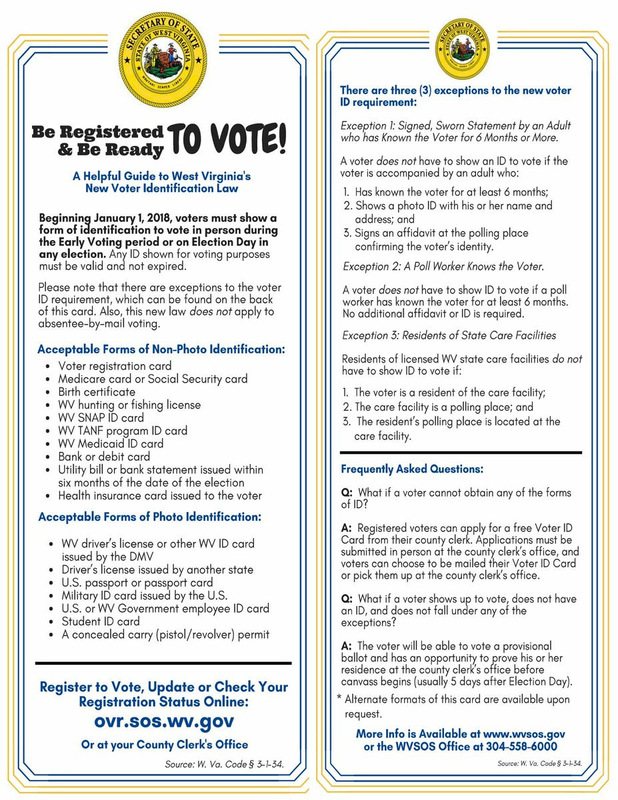 We have to work together to make West Virginia better, do your part and vote!